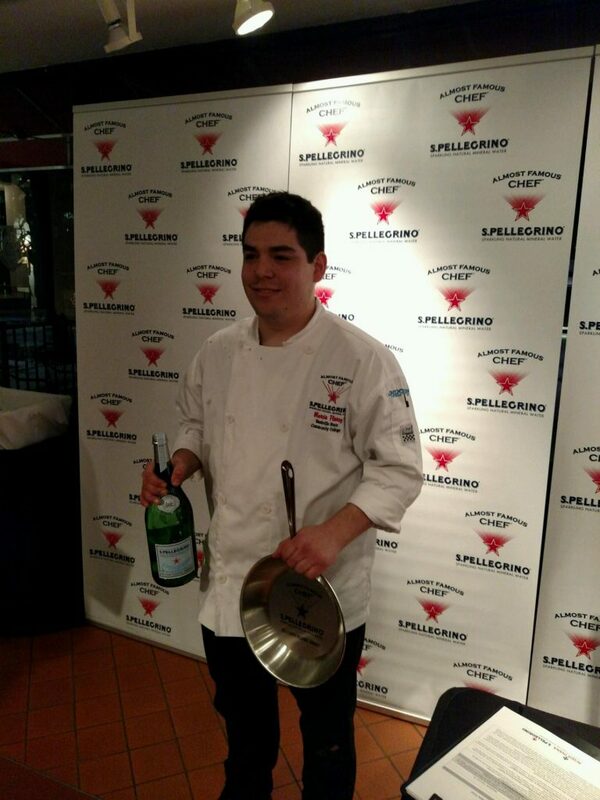 Kim Silverman, Director of the Nashville State Community College Southeast Campus, announced today that budding chef and culinary student Marcio Florez has won the San Pellegrino® Almost Famous Chef® South Regional Competition sponsored by San Pellegrino® in Dallas, Texas. Florez, with four other culinary student finalists, now advances to the final competition in Napa Valley, California in March. 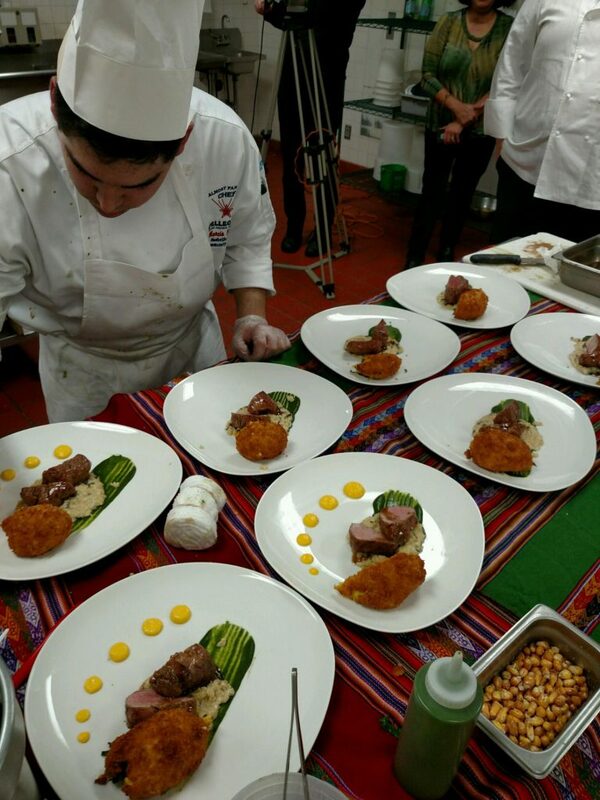 Marcio’s winning dish was titled “Meat and Three,” a combination of Southern and Peruvian flavors. The San Pellegrino® Almost Famous Chef® Competition hosts over 40 of the leading culinary schools across the US in a spirited cooking competition that spotlights the best and brightest. Designed as a mentorship program, culinary students compete before the food media, distinguished guests, and renowned chefs at five regional competitions in January and February. Winners of these regional competitions progress to the final round where they will compete for the coveted San Pellegrino® Almost Famous Chef® title and a one-year paid apprenticeship with a celebrity chef. Florez attends culinary classes at Nashville State’s Southeast Campus in Antioch, where he also lives with his fiancé and son. He moved to the United States from Peru when he was seventeen years old. “Persistence can break all limits,” said Florez, who aspires to one day open his own restaurant, dedicated to American culinary traditions but with flavors from his Peruvian roots. “Participating in this competition was a great opportunity to test my culinary skills and enhance my knowledge,” he adds. Florez expects to complete his Associate of Science degree in Culinary Arts at the end of the year. The Culinary Arts program at Nashville State was initiated by local restaurateur Randy Rayburn in an effort to bring more professionally trained staff to Nashville’s rapidly growing culinary industry. Nashville State’s Culinary Arts program offers both certificate and degree programs for those interested in pursuing careers in the hospitality industry. To find out more about enrolling in the Randy Rayburn School of Culinary Arts at Nashville State, you can visit the Nashville State Southeast Campus at 5248 Hickory Hollow Parkway in Antioch, or call 615-916-5872. To learn more about Nashville State Community College and the academic programs available, go to www.nscc.edu.